Dragons can be quite long lived, and with that much time passing, it can be helpful to have a way to record your daily adventures, thoughts, or notes of all kinds. 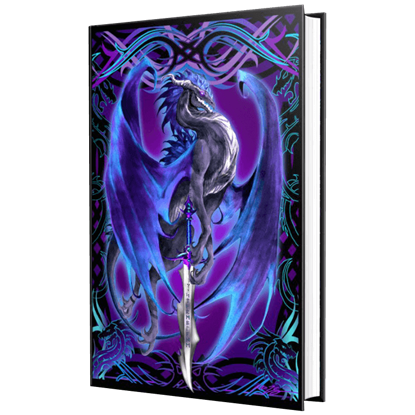 While the jury is still out on whether or not dragons can write with pens and pencils, we offer a selection of dragon notebooks and journals here that will help you record your writings in fun dragon style. 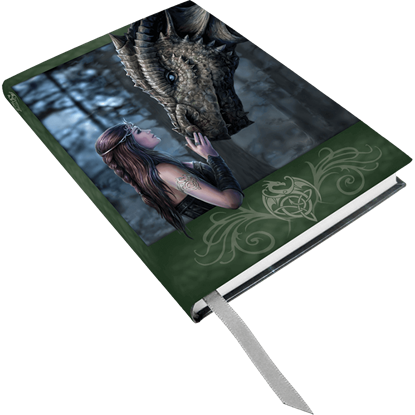 Check out dragon leather notebooks and spiral bound dragon journals alike, filled with blank pages and ready to be written on. Many of our genuine leather dragon notebooks have been embossed with intricate Celtic knotwork surrounding artistic dragon designs, making them magical ways to bring new interest to any writing or sketching experience. If you want to write stories but lack inspiration, perhaps you are using the wrong notebook. 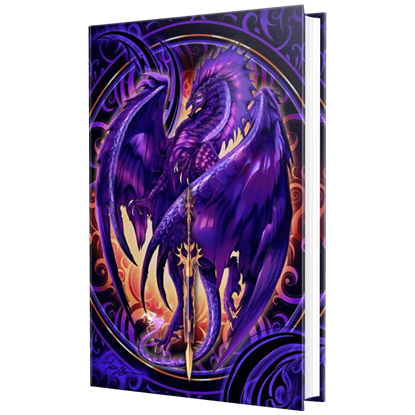 The Dark Dragon Embossed Journal, with medieval imagery adorning its cover, may be just the thing to thrust your mind into a fantasy world. 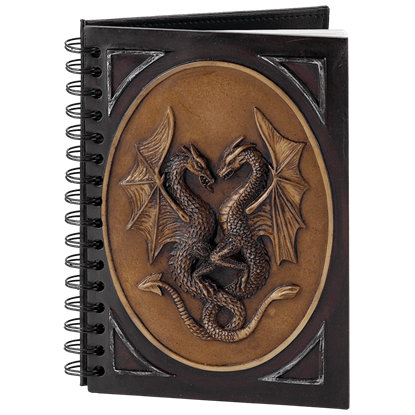 The Double Dragon Journal is sure to keep intruders and interlopers out of your most private of thoughts. Who would really be foolish enough to cross one dragon just to read a diary, much less two dragons? The Double Dragon Leather Journal is a leather-bound book that is perfectly suited for a variety of uses. 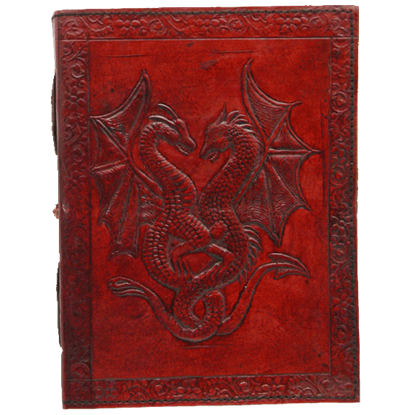 The cover of this attractive book features a pair of intertwined dragons, which has been embossed into the leather cover. Dragons have a reputation for ferocity, but this brave and gentle fairy maiden knows the way to the heart of the beast. 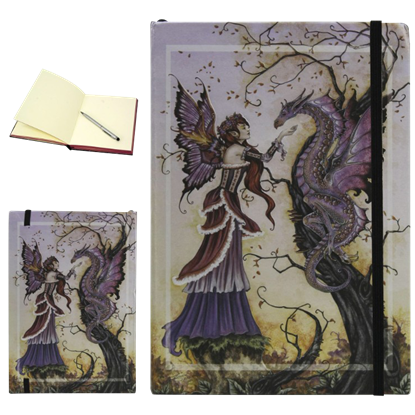 The Dragon Charmer Embossed Fantasy Journal depicts this artistic fantasy scene in on its front and back covers. When a dragon is not attacking something, it is guarding something else. 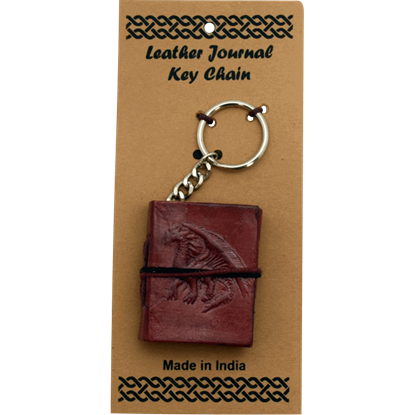 Let a tiny dragon guard your thoughts and notes with this Dragon Embossed Leather Journal Key Chain! Write down whatever you wish in this miniature notebook. Dragons are hoarders of gold and jewels, even going so far as to die for their treasures. With the Dragon Leather Journal, you can harness this powerful magic protector to keep guard over your deepest, most treasured secrets. 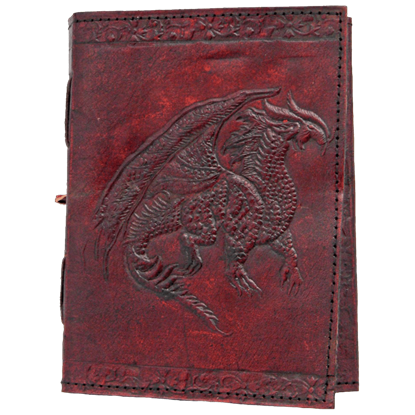 The Dragon Leather Journal is a leather-bound book that is perfectly suited for a variety of uses. The cover of this book features a classic and fearsome looking dragon, which has been embossed into the leather cover. The color purple frequently represents wealth and royalty, themes which match well to dragons. 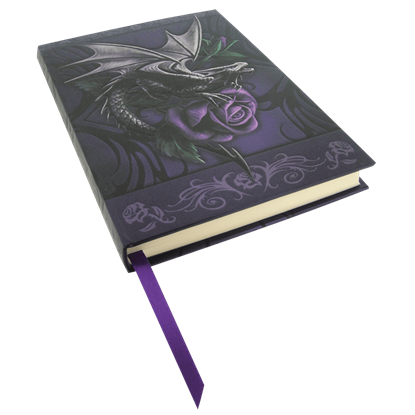 The Embossed Dragon Beauty Notebook displays a dragon bending around a lovely violet rose on a violet backdrop. 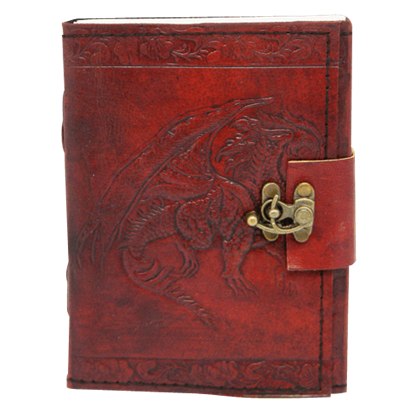 Dragons make for fantastic guardians, so if you would like your writings, spells, rituals, or sketches to have a proper defender, then you could not ask for a better one than in this Embossed Leather Single Dragon Journal with Lock. Your journal contains all your deep, dark thoughts. The darkest ones need extra protection, and what better to guard them than a dark dragon? 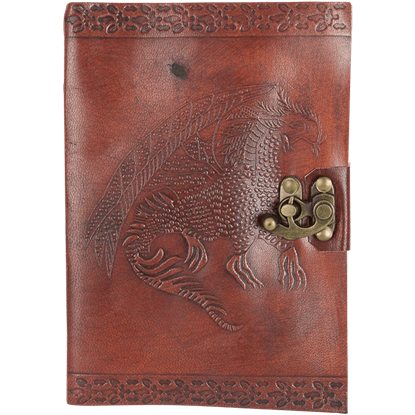 The Evil Dragon Embossed Journal is here to keep your secrets safe from prying eyes. A journal provides the perfect place to record thoughts, dreams, and memories, something anyone can appreciate. The Fairytale Embossed Journal features the Once Upon a Time picture by artist Anne Stokes on its front cover. 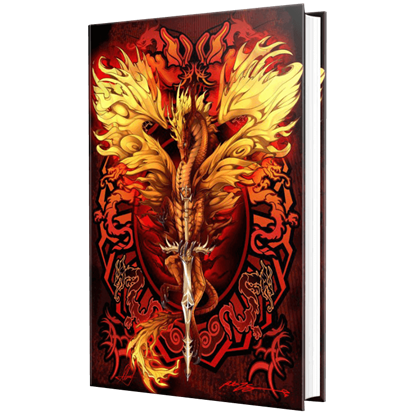 Unwanted eyes will think twice before taking a peep at your private thoughts when they see the deadly imagery on the cover of your Flame Blade Embossed Journal. This notebook conjures a triple threat that is guaranteed to protect.